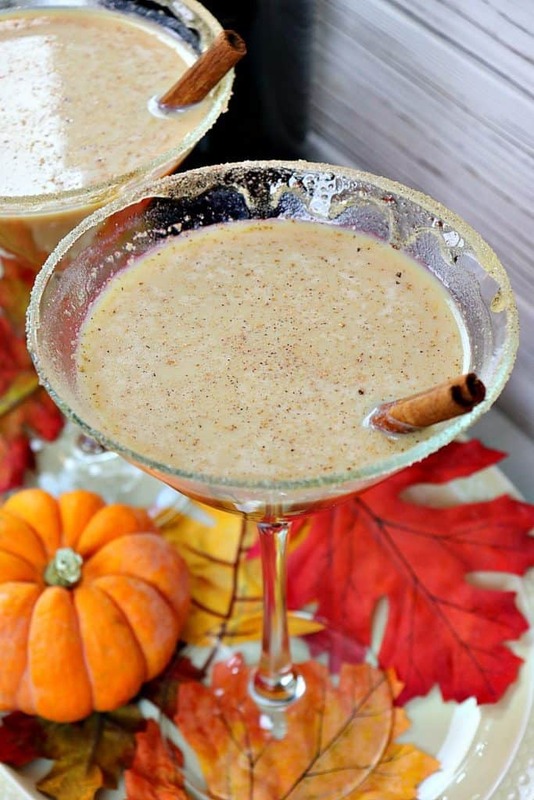 You’ll be pleasantly pleased after your first sip of this Pumpkin Spice Martini. After your second sip, you’ll be warm all over. Happy Thanksgiving!! The flavors of fall never tasted so good! After my initial sip, I knew it was something I wanted to recreate upon returning home. The result is my version of a Pumpkin Spice Martini, and it’s a good one. I hope you’re ready! And, as always, please drink responsibly, and NEVER drink and drive. 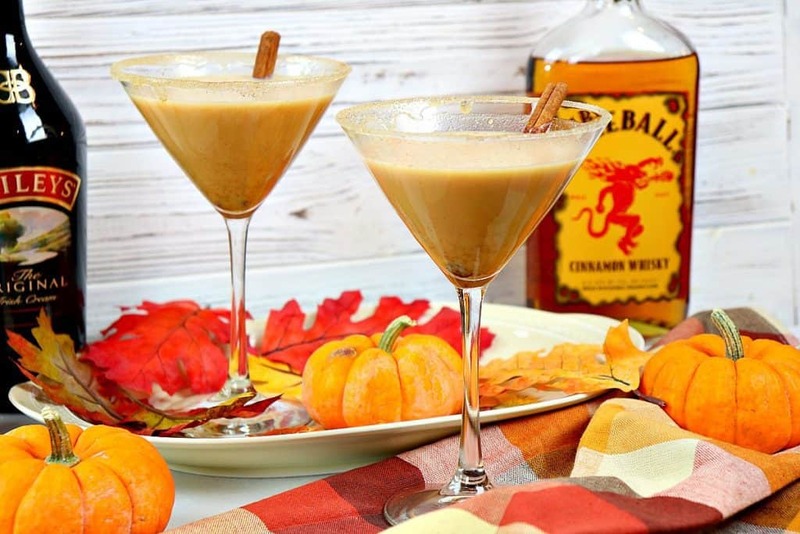 **Please Note – The printable recipe card with detailed instructions and complete ingredient measurements for making a Pumpkin Spice Martini – Kudos Kitchen Style is available near the end of this post. Below is a fun video I shot and edited for the making of Pumpkin Spice Martini’s – Kudos Kitchen Style. I hope you’ll find it entertaining and helpful. If you enjoy this video, please don’t forget to subscribe to my Kudos Kitchen channel on YouTube. Thanks! 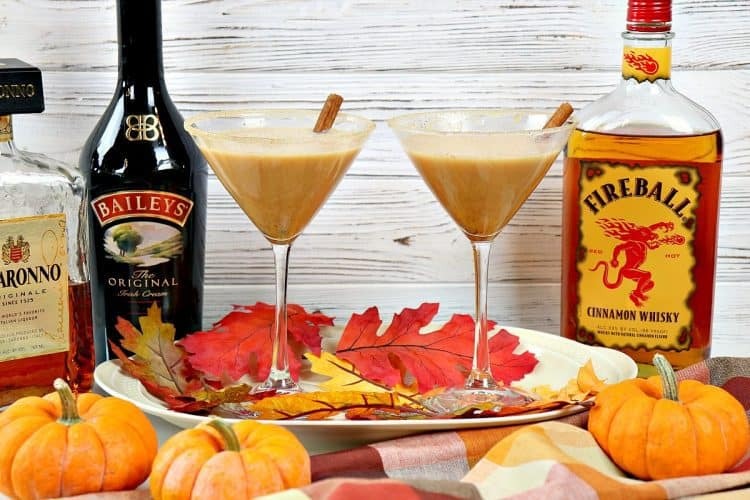 **The following affiliate links are some suggested products I’ve chosen that will aid you in the making and serving of this recipe for Pumpkin Spice Martini if desired. 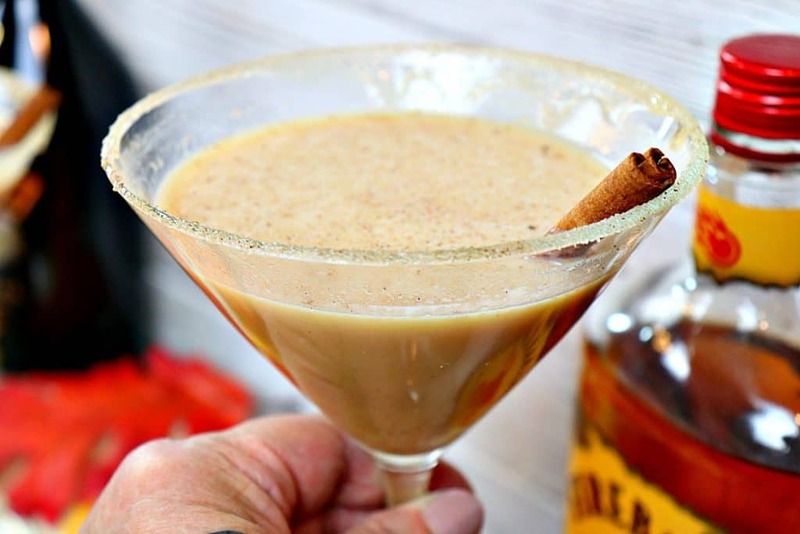 Pumpkin Spice Martini will warm your bones and tickle your taste buds! Below is the printable recipe card for today’s Pumpkin Spice Martini. 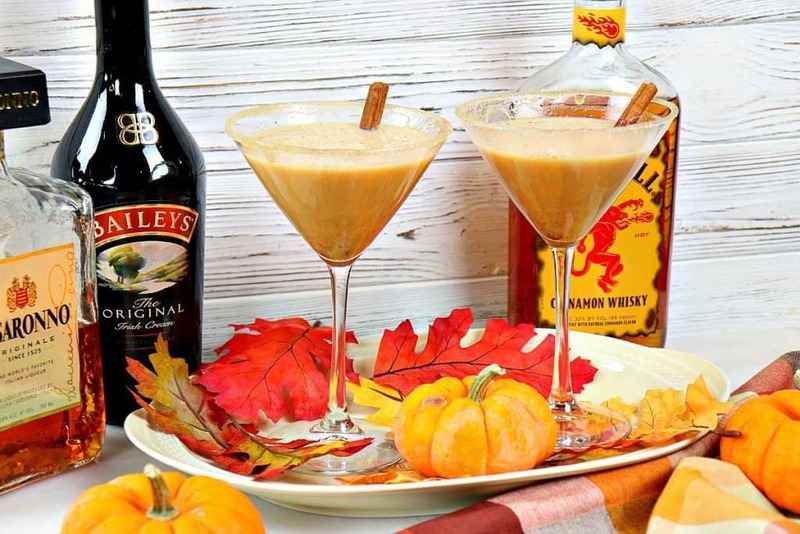 You'll be pleasantly pleased after your first sip of this Pumpkin Spice Martini - Kudos Kitchen Style. After your second sip, you'll be warm all over. Happy Thanksgiving!! Place the cinnamon sugar and honey on two separate plates. Dip the rim of each martini glass into the honey first and then the cinnamon sugar. Set aside. Add the ice to a cocktail shaker. Add the amaretto, whiskey, Irish cream, vanilla, and pumpkin puree to the shaker. Return the lid to the shaker and shake well for 30 seconds. Pour the martinis into the prepared glasses. Garnish with grated nutmeg, additional cinnamon-sugar, and a cinnamon stick in each glass (if desired). I sincerely hope you’ve enjoyed today’s recipe for Pumpkin Spice Martini – Kudos Kitchen Style as much as I’ve enjoyed bringing it to you! Oh yeah! I can’t wait to kick back in front of the fire and sip on one of these! Ooooh. That sounds wonderful! I’m going to have to do that, myself!! What a creative cocktail! Super excited to try this out with our friends for friendsgiving – thanks so much for the awesome recipe! PERFECT!!! I love the way you think! Wow! This looks delicious! 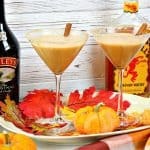 I have never had a Pumpkin Spice Martini before but sounds perfect for this time of year! I love anything with pumpkin..i think i am going to go make one now. Thanks for your sharing. I’m sure you’ll love it. Enjoy, and Happy Thanksgiving! !